The latest Journal for the Study of the New Testament is now out and it's a special edition focused on Simon Gathercole's The Composition of the Gospel of Thomas and my Thomas and the Gospels. It's an absolute privilege to be involved in a journal issue like this, and I'd like to thank JSNT and its editor Catrin Williams for this honour. 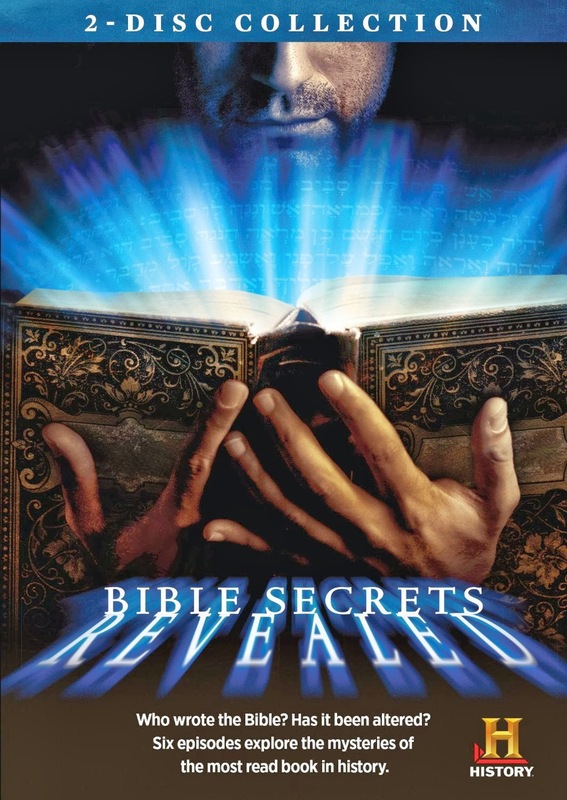 "Thomas Revisited: A Rejoinder to Denzey Lewis, Kloppenborg and Patterson"
Regular readers will remember the Bible Secrets Revealed TV show that was recently on History Channel in the USA. Across six hour long episodes, several themes in recent Biblical scholarship were explored for a popular audience, in a pacey documentary that featured, among many others, Robert Cargill (who was also consulting producer), Candida Moss, Bart Ehrman, Chris Keith, Jodi Magnes and me. Goodacre goes to the movies! Regular readers of the NT Blog will know of my love of Bible films. There was a time back in the 1990s when it seemed like there would never be another Jesus film. It was a bit like the wilderness years for Doctor Who fans, when we wondered if the show would ever come back. Recent years have been kind to us. First there was The Miracle Maker (2000), the Welsh-Russian claymation masterpiece, followed not long afterwards by the Visual Bible's Gospel of John (2003), a surprisingly compelling walk through John's Gospel verse-by-verse, starring British actor Henry Ian Cusick as Jesus. Both films employed academic consultants, and were all the better for it. The major event was, of course, Mel Gibson's Passion of the Christ (2004), a traumatic, troubling, haunting piece that surprised everyone by becoming a massive box-office hit. Academics hated it, often for good reason. Its nasty, unreflective depiction of the Jewish leaders, especially Caiaphas, almost made it unbearable. Yet, there were elements that made connoisseurs come back for more -- Caviezel's remarkable performance as Jesus, the use of flashbacks and point of view shots that humanized Jesus more than any previous Jesus film, and the audacious attempt to put all the dialogue in Aramiac and Latin. Since The Passion of the Christ, there have been other landmarks. Son of Man (2006) "reclaimed" the Jesus story as African fable while The Nativity Story (2006), directed by Catherine Hardwicke, who went onto great fame with Twilight, showed that a conventional retelling of gospel story could still work. Meanwhile, BBC's The Passion (2008) succeeded where Gibson's film failed, offering an outstanding drama in which the human motivations of the protagonists, not only Jesus, Mary, Mary Magdalene and Judas but also Pontius Pilate and Caiaphas, were explored in a way so compelling that the viewer shook with emotion throughout. Now comes Son of God. The publicity rightly points out that this is the first "full" Jesus film in the cinemas for many years. TV has been the chosen genre for recent films and miniseries, including The Bible (2013), from which the new film is largely culled. Mark Burnett and Roma Downey executive produced the ten hour TV series that went out last year on History Channel. The huge success of the project, with massive ratings, gave birth to this new departure, which reframes and edits the Jesus material from that broader project and releases it, this weekend, already to massive cinema audiences. I went to see the new film, along with almost ten million other Americans, on Friday evening. 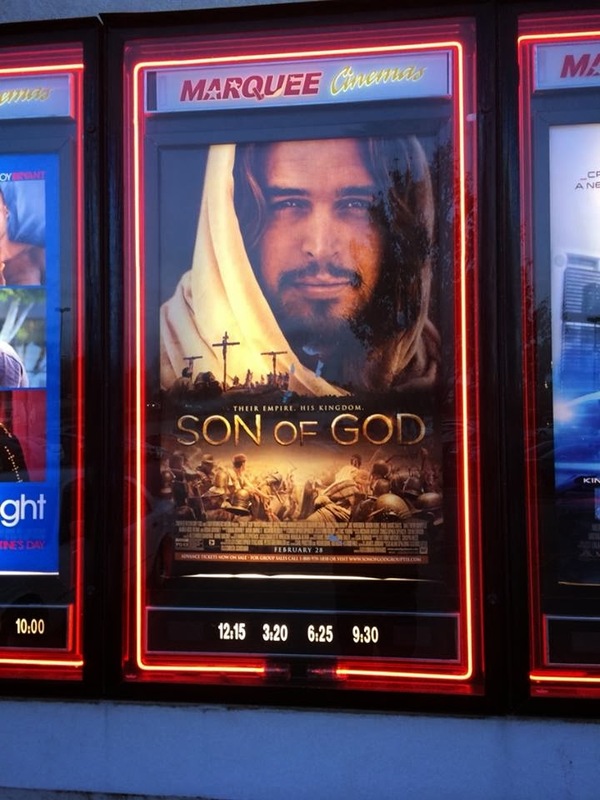 For me, there is something rather exciting about going to see a Jesus film in the local cinema. It was exciting to me too because of my familiarity with The Bible project on which I acted as a consultant, alongside several others including Craig Evans, Candida Moss, Helen Bond and Paula Gooder. I had no idea, though, how they would reframe, repackage it and re-edit the series to produce a full cinematic 138 minutes. You can also catch the NT Pod on iTunes, or you can find the NT Pod on Facebook, or follow the NT Pod on Twitter. I have read several reviews this weekend since recording the episode that already make me want to comment further, so I am guessing that there will be some more blogging about this film in the coming days, perhaps even as much as there was over Passion of the Christ and the BBC Passion!